Orthodox Christians do not seek suffering for its own sake, but know that living faithfully in a world of corruption will often require pain and struggle of various kinds. I heard something on National Public Radio during my morning run the other day that got my attention . A report on a physician-assisted suicide bill in California stated that the proposed legislation would let terminally ill patients end their lives. That way of putting it totally obscured the fact that such legislation would implicate physicians, and presumably other health care professionals, in taking steps intentionally to end the lives of their patients. Doing so would fundamentally distort the practice of medicine from pursuing the health of patients to pursuing their death in the name of ending suffering. At times, ending suffering requires ending the sufferer, which is simply not part of the practice of medicine as we know it in western culture. No, that is not an abstract philosophical claim, but something that arises from what doctors, nurses, and other healers do every day. For example, when I go to my physician, I trust that he is single-mindedly focused on my health. If he would just as soon help me commit suicide, I would no longer trust him because his moral identity and our relationship would change profoundly. When physicians prescribe lethal drugs or otherwise act intentionally to facilitate the death of their patients, even upon the patients’ request, they no longer practice medicine as we have known it. Physicians do not administer lethal injections for capital punishment, for example, because doing so is antithetical to the healing art. If our society loses the unique moral identity of medical doctors, we will lose a great deal. A serious vocation requires developing a distinctive character through a distinctive practice. Contrary to popular trends, not everything and everyone may be reduced without remainder to autonomous individuals serving the desires of other autonomous individuals. The customer is not always right, except in a depraved materialistic society in which persons become little more than anonymous economic units or faceless bundles of rights that serve nothing more profound than their own immediate desires. And if the customer is not always right, surely that is even less the case with the patient who enters into a practice oriented toward health, not necessarily whatever the patient desires. As well, physician-assisted suicide invites abuse of the elderly, sick, and dying by those who stand to inherit their estates. Those are often the very people playing the dominant role in influencing the treatment decisions of debilitated patients. Likewise, it should surprise no one that government entities, insurance companies, and health care institutions will likely be inclined to find ways of reducing their expenditures for patients at the end of life by encouraging lethal efforts to end their suffering and save money from their budgets. Larger societal expectations will likely follow such developments, causing a social expectation for our weakest neighbors to exercise their freedom to kill themselves. Our most vulnerable citizens will be deemed inconvenient and encouraged to end their suffering by ending their lives. The skills of patiently caring for the aged and infirm will consequently diminish. The cult of the young and healthy will flourish in the name of liberation to the detriment of the old and sick. No, it is not a pretty picture. The hospice movement, practitioners of palliative care, and others intimately involved in the care of the sick and dying know that treatment to make terminally ill patients as comfortable as possible is underdeveloped in American medicine. We are fans of high tech life-sustaining treatment, even if it is quite burdensome and makes a patient’s entire existence revolve around medical procedures. 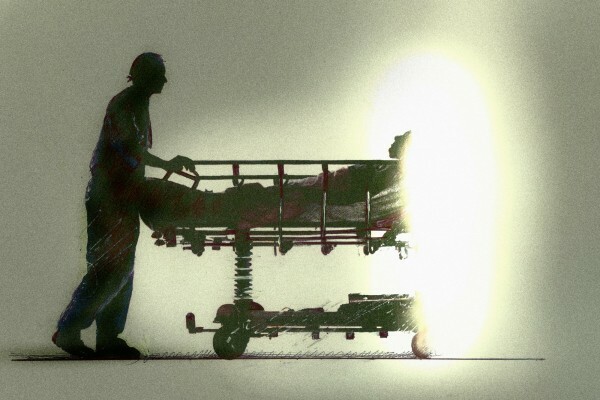 Surely, many patients who want physician-assisted suicide would not do so if they received appropriate palliative care to help them live as comfortably as possible during their last days. And if they were at home, sustained by loved ones in familiar settings, they would be much more likely to embrace the struggles of this last segment of their journey than they would in an institutionalized setting with priorities other than comfort. Perhaps at the heart of these debates is the meaning of suffering. The dominant attitude today seems to be that suffering is a pointless affront to one’s dignity. Well, for those formed in our increasingly individualistic and hedonistic culture, that is not a surprising conclusion. In stark contrast, Orthodox Christians do not seek suffering for its own sake, but know that living faithfully in a world of corruption will often require pain and struggle of various kinds. These challenges give us opportunities to grow in dependence upon God, in humility, and in love for our neighbors, including those who care for us when we are sick and weak. They are opportunities to take up our crosses, follow Christ, and grow in holiness. Even as we should refuse medical treatment that makes our existence simply a function of that treatment as a false god, we should accept care that helps us offer our lives to the Lord and our neighbors as best we can under the circumstances that we face. For those who worship a Lord Who healed the sick, raised the dead, and rose victorious over Hades on the third day, that will never mean choosing death as an end in itself. It will mean, however, refusing overly burdensome and ultimately pointless forms of treatment in order to prepare for a peaceful, painless, and blameless departure from this life. The more that our family members and physicians know our intentions in this regard, the better for all concerned. And the less that the practice of medicine becomes corrupted by the intentional pursuit of death, the better for all concerned, especially the patients.